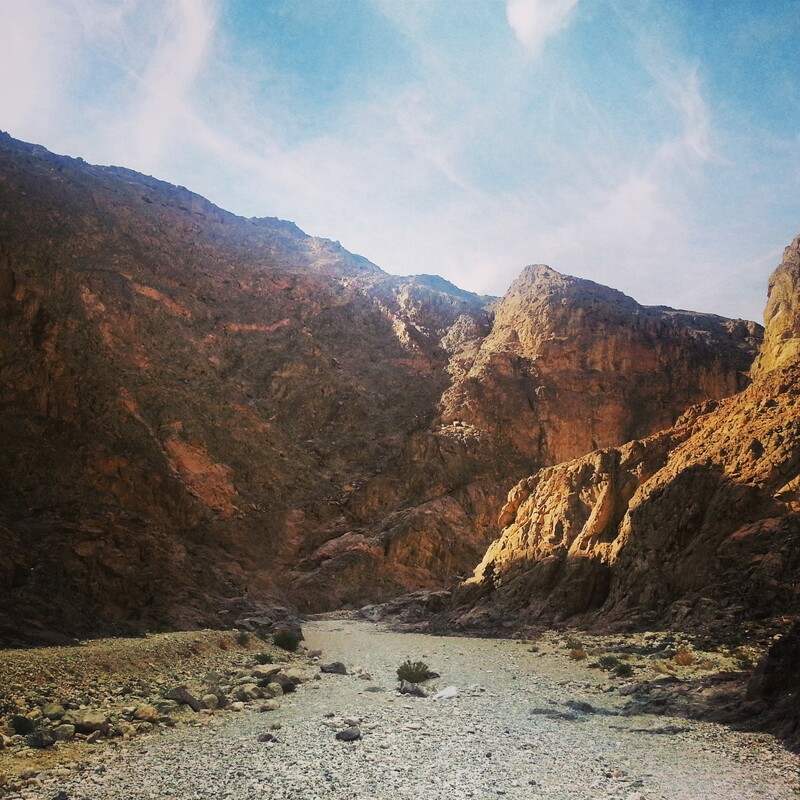 Read about our first day of the Eilat Campus (exploring the Northern Arava and the Ovda Valley) or our second day (exploring the area of Eilat and the Eilat Mountains) or our fourth day (visiting the Timna Valley). 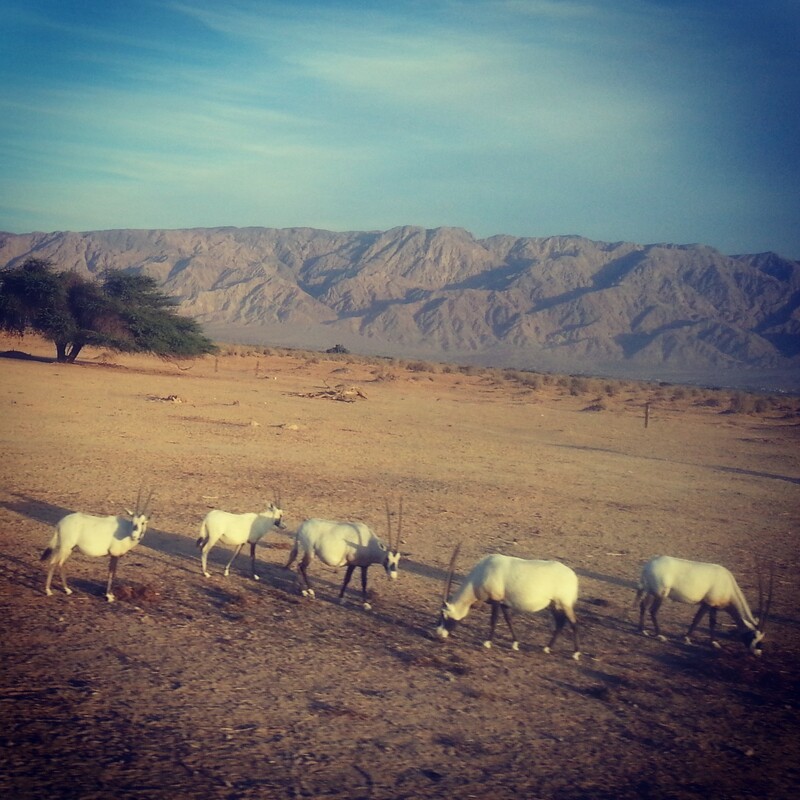 Again, a bright and early start, facilitated by the sumptuous breakfast buffet, and off we went to explore the area of the Southern Arava Valley. 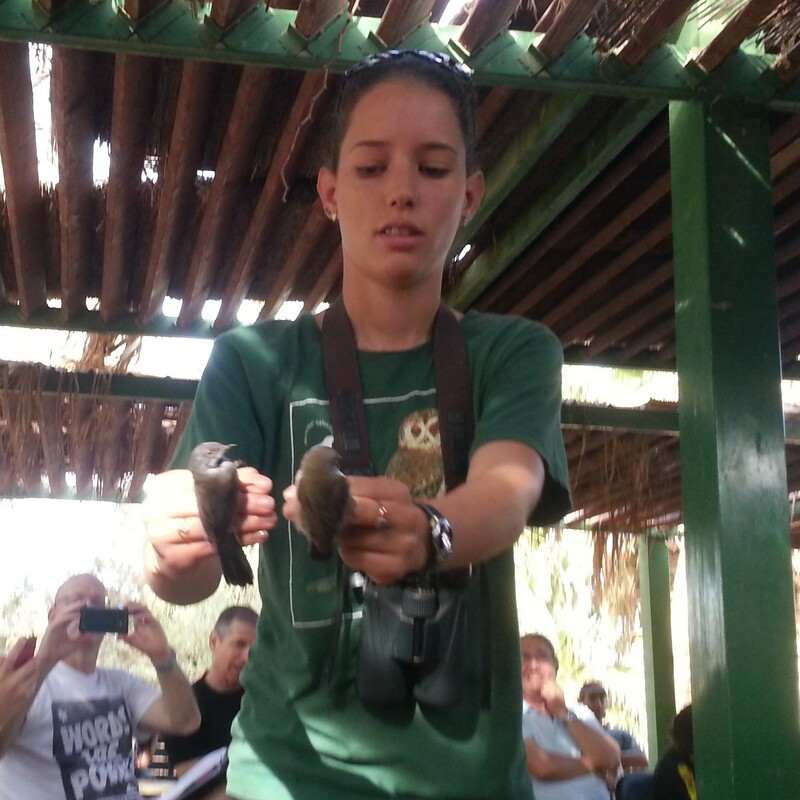 Our first stop, next to the border crossing with Jordan, was at the Eilat Bird Park. As avid readers will recall from our trip to the Hula Valley around a year ago, Israel is a major bird migration station with half a billion birds passing through the country every year in search of warmer climes and the associated increased available foodstuffs. This makes Israel the #2 bird migration centre in the world after Panama. 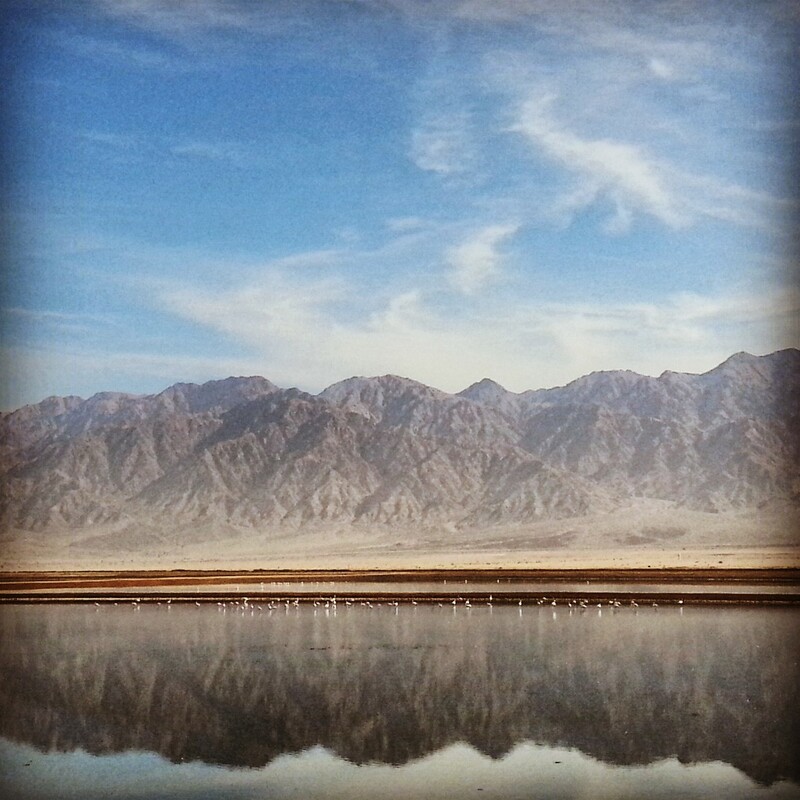 For many birds, Eilat is a final stop to build up energy before the long journey over the Sahara desert (or alternatively a first place to restock having crossed it travelling north) and so is a major spot for bird watching. Although we did not have time to wander through the park or sit out with our binoculars, we were fortunate that our guide had saved a few birds from her tagging that morning (they tag the birds for research purposes to try and track their migration patterns) for us to see. We then headed north, admiring the flamingos that have taken up lodging in the nearby salt pools (albeit from a distance), arriving at the Avrona farms. This ancient agricultural settlement dates from around the 9th century and utilised a 1.5km long network of underground tunnels to bring water here that would enable farming (the local water has a very high salt content). The technique is known in local Arabic as fugarrot (in Persia, whence it originates, it is known as a qanat system). 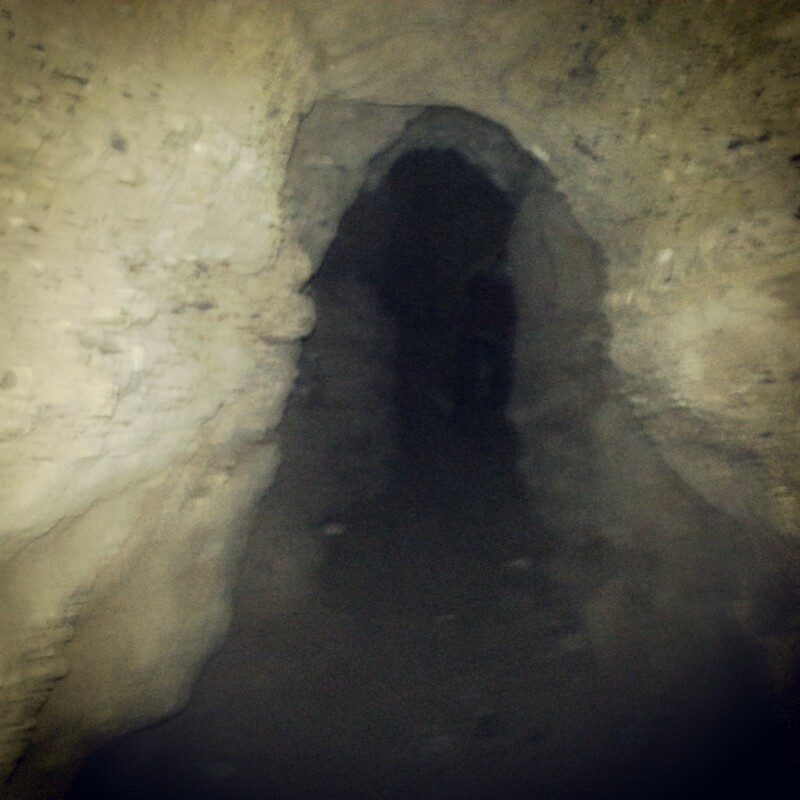 We crawled through one of the small tunnels – researches believe they were dug by children or even a special team of dwarves! 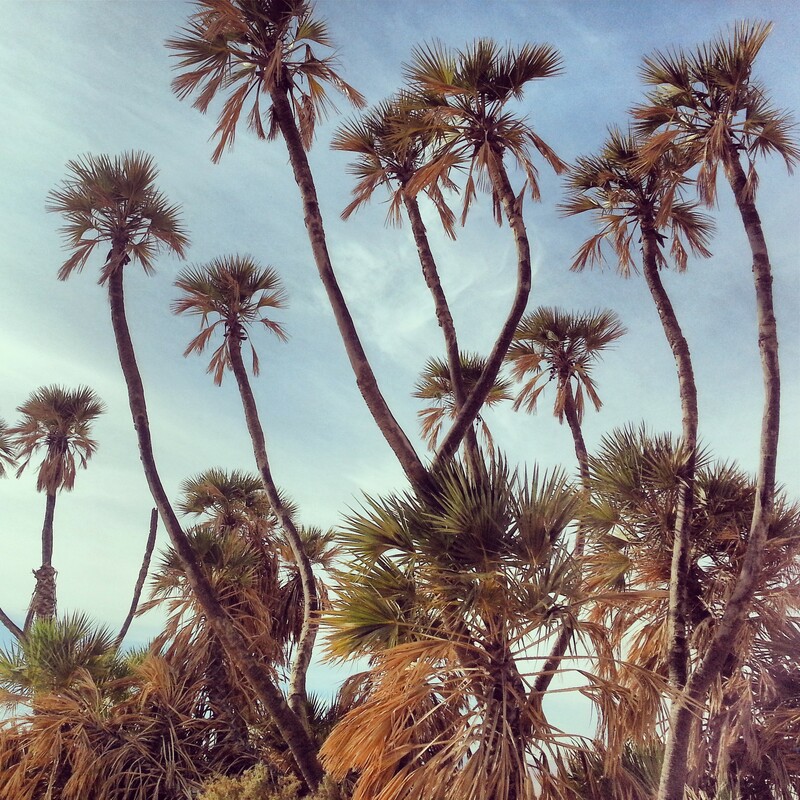 A short jump north took us to a botanical stop at the Doum Palms. These multi-trunked palm trees are mostly found in the area of the Nile in Africa, the ones located in Israel in the Arava are the most northern instances of this tree in the world and hence are protected. It was now time to stretch our legs and as we hiked through the Shechoret Canyon. Having made our way through the towering black granite walls of the canyon itself, we ascended to a beautiful viewpoint over the mountains in the area. Our guide explained the geological processes that made up the multicoloured peaks and created the rift valley that is the Arava. On our descent, we passed an ancient animal trap. We learned how it worked together with a little about the local predators. 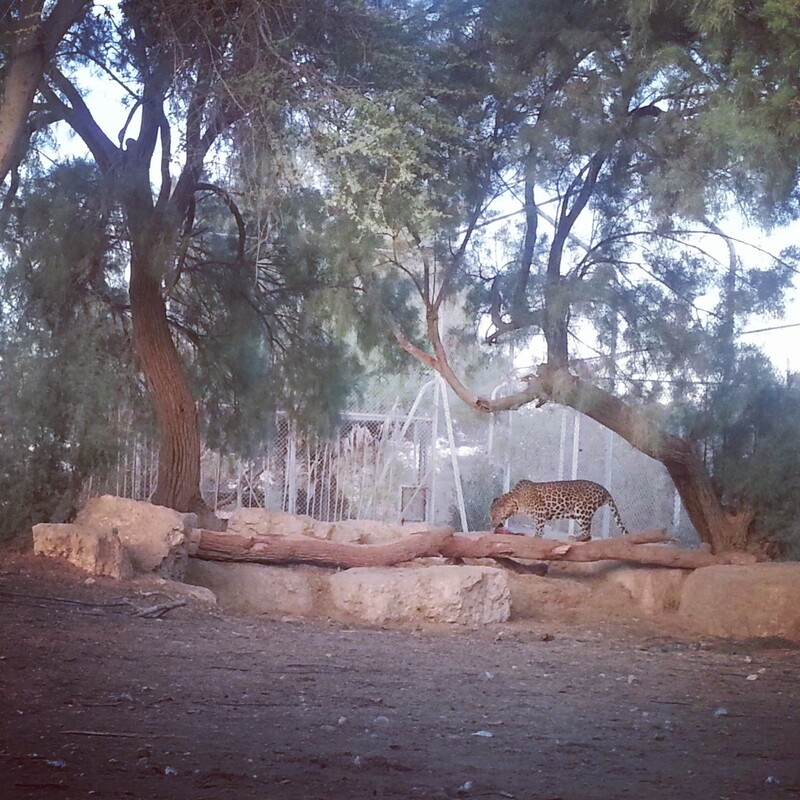 As evidenced on our first day of the campus, there used to be leopards roaming the area of the Negev, although they seem to have now died out (there are rumours that there are still some around though and it is fun to keep them going!). Wildlife was the subject of our next step as with the sunset approaching we arrived at the Chai Bar. Again, avid readers will recall that we visited the northern Chai Bar during our trip to the Carmel Mountain at the beginning of the course! This is the southern version of this impressive project to research species that used to be in the area, which are now extinct, and to gradually reintroduce them. We enjoyed a safari drive through the park and then visited the predators section; our guide had arranged for us to arrive at feeding time which meant we were able to see some of these impressive animals in action. Our final stop, with darkness fast approaching, was at a desert kite. These large structures were first identified by RAF pilots in the 20th century; they are found all over the region – Syria, Jordan, Israel etc and were so called because of their resemblance to a toy kite: two walls sloping in to meet at a point. In fact, they were anything but toys – research shows that the ancient inhabitants of the land used them to catch large herds of animals and then slaughter them. The remains themselves were not particularly impressive (viewed from a height, one gets a better idea of the scale of the things) but it was interesting to get an insight into how our forebears had a good understanding of the local wildlife; and managed to develop frankly ingenious methods to catch them. 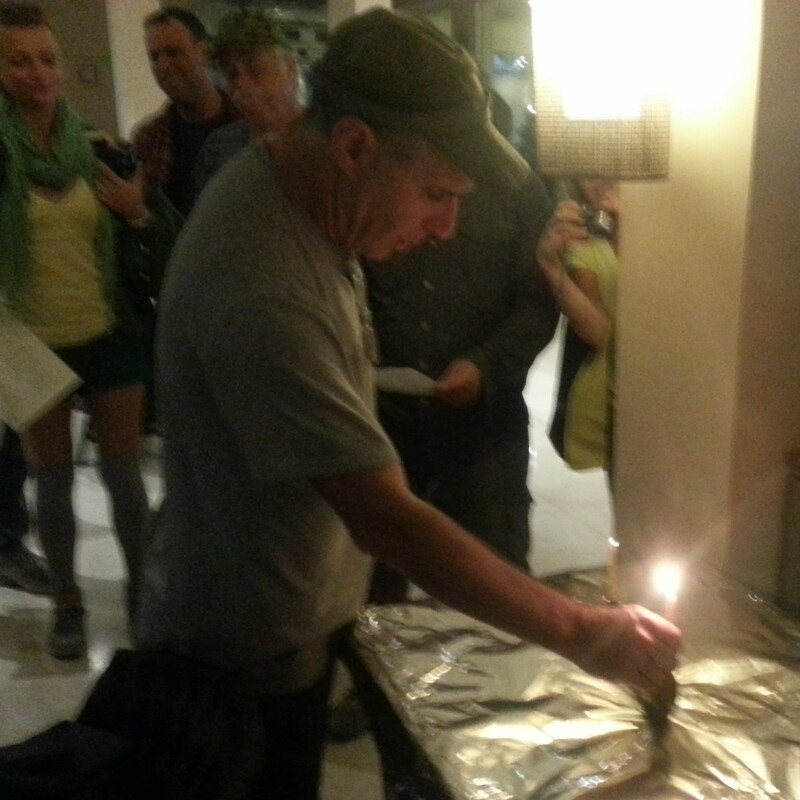 We returned to Eilat, and it was time for a small celebration! Tonight was the first night of the festival of Chanukah and we concluded the day together with a communal candle lighting, followed, appropriately, by significant doughnut consumption! After our desert adventures last week it was now time to head northwards to the somewhat leafier region of Mount Carmel. I’m beginning to appreciate the unearthly hour at which I have to leave the house for the day trip. We are between times in Tel Aviv, as it were. The late night revellers have made their way home; the gainfully employed are yet to start their commute; and so the city rests, tranquil, the odd street cleaner pottering about here and there. A rest before the craziness begins once more. Mount Carmel is actually less of a mountain and more of a mountain range. Or rather, more of a large hill range, as at its high point it reaches just 546m above sea level; even Ben Nevis, Britain’s highest peak, is over two times taller. It is an offshoot of the Samarian hills, geographically speaking, although it is not directly connected, at least anymore, thanks to various bits of tectonic activity and weathering. We began our day with a panoramic view over the Oren stream (note that most streams in Israel don’t actually contain water during most of the year) from the Mishmar HaCarmel Nature Reserve. We learned about the geographical features of the range, the Mediterranean Woodland that one finds on its slopes (largely evergreen, meaning that we have a landscape that consistently retains a lush, green appearance), and the history of its settlement. Due to the lack of fresh water (only three springs on the mountain) it was largely devoid of human settlement until recent times; even now it is mostly woodland and large swathes of the range have been designated as a National Park which means that further building is prohibited. We continued on our way, sadly witness to scenes of devastation still present from the terrible forest fire of December 2010. I remember driving up to Netanya and seeing the huge plumes of smoke billowing towards the heavens. The fire raged for four days, claiming 44 lives, and reached temperatures of up to an incredible 1000°C. On our route, we passed the place where 37 prison cadet officers, on their way to evacuate the prison at the top of the hill, were trapped by the fire and tragically did not manage to escape. They are remembered by a recently dedicated monument. Our next stop was in the area of Little Switzerland, so called by European immigrants for whom the greenery reminded of my former home. As much as it is lovely, I’m not sure how close it comes to representing the beauty of the Swiss countryside, but I suppose that in comparison to the flatness of the coastal plain and the barrenness of the southern deserts, the association makes sense. And I imagine that, so far from homes in Europe, in a time when communication across such distances would have been very difficult, it was probably nice to have some sort of connection to their places of origin. The area is full of hiking trails and for the first time so far on the course we took one of these, down towards the Yuval Katan stream, learning how to read the trail signs and identifying various plants as we went. Eventually we reached our destination, a large ‘notch’ in the rock formed by erosion over millions of years. We sat, rested and enjoyed the view over the Kelach stream, while our guide explained to us the geological processes which formed such notches and why they were present in the area. We hiked back, enjoying the freshness of the mountain air, and the pleasant temperatures; quite the contrast to last week’s venture into the desert where temperatures were still searing even though it was early November. From the end of the trail it was just a short bus ride to the Chai Bar. 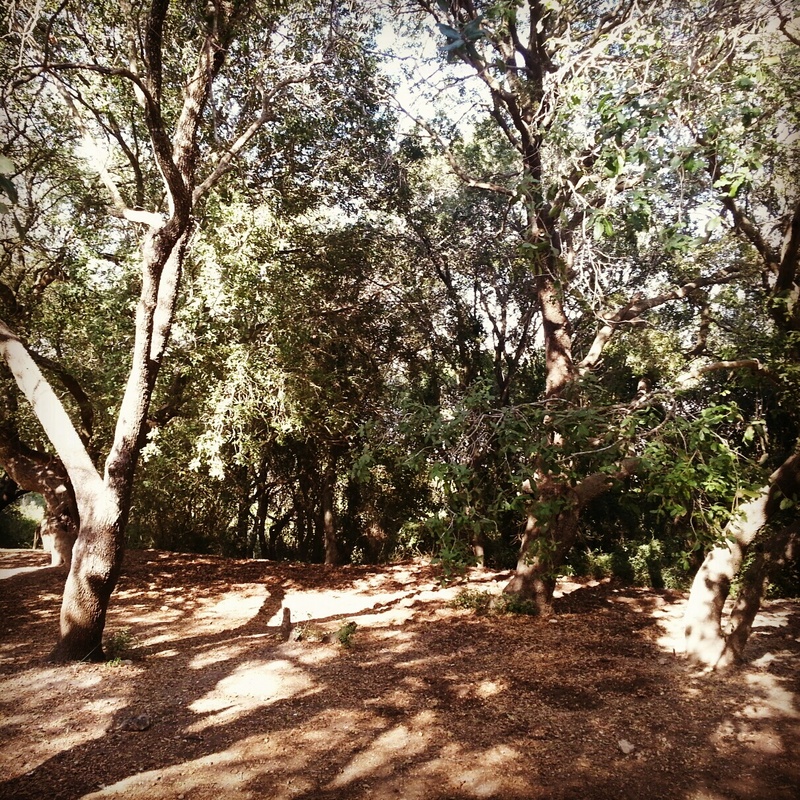 This is an intriguing project, initiated by the Nature and Parks Authority in Israel. For different reasons, over the decades and centuries, various types of animals that were native to Israel have become extinct. In the Carmel region, it was largely because of hunting. So, the Chair Bar organisation was set up to try and reintroduce these animals to the Israeli landscape. 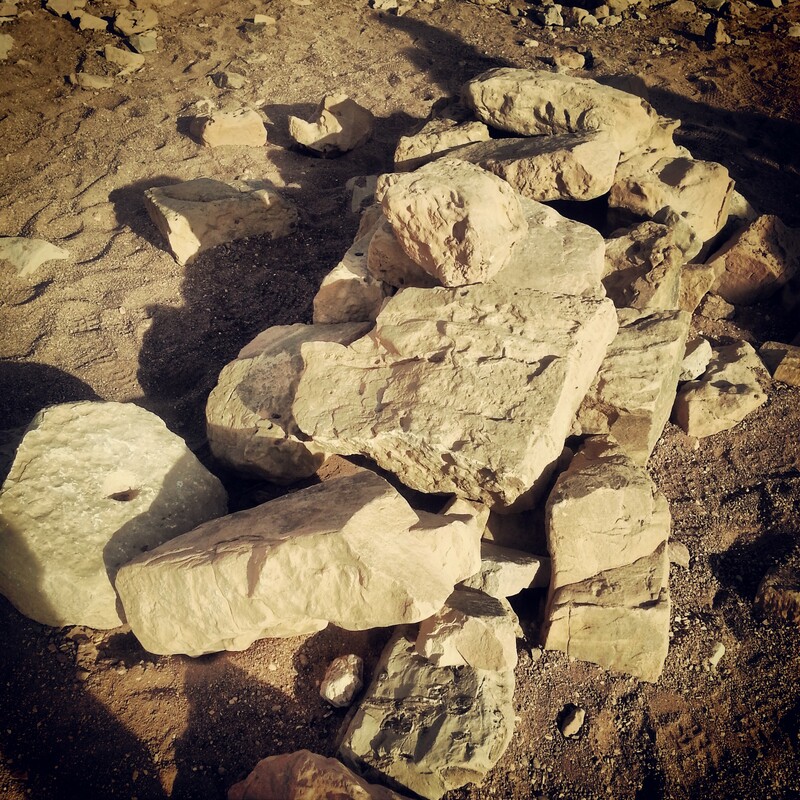 There are two locations, one in the Negev desert, and one here on the Carmel. The animals are sourced from various locations in the Mediterranean and Middle East, gradually acclimatised to Israel, and then released into the wild. It has been running since the seventies with quite some success; in this reserve some of the animals include various types of deer, eagles and a fire salamander. There is a short explanatory film which includes quite an exciting story set against the backdrop of the Iranian revolution; the Israelis had arrived to collect some pre-ordered animals when the revolution broke out, and just managed to get them and get them onto the last El Al flight out of the country using a good combination of initiative and chutzpah. Afterwards, one can wander around the enclosures and enjoy the view from the lookout point. A note for any budding visitors: apart from weekends and chol hamoed (intermediary days of festivals) you can only access the Chai Bar as part of a group which has pre-arranged the visit. From the Chai Bar we crossed over the 672 road (the main road on Mt Carmel) to another fascinating conservation project: Derech HaDorot (Road of the Millennia). In this case however, the focus is on antiquities rather than wildlife. 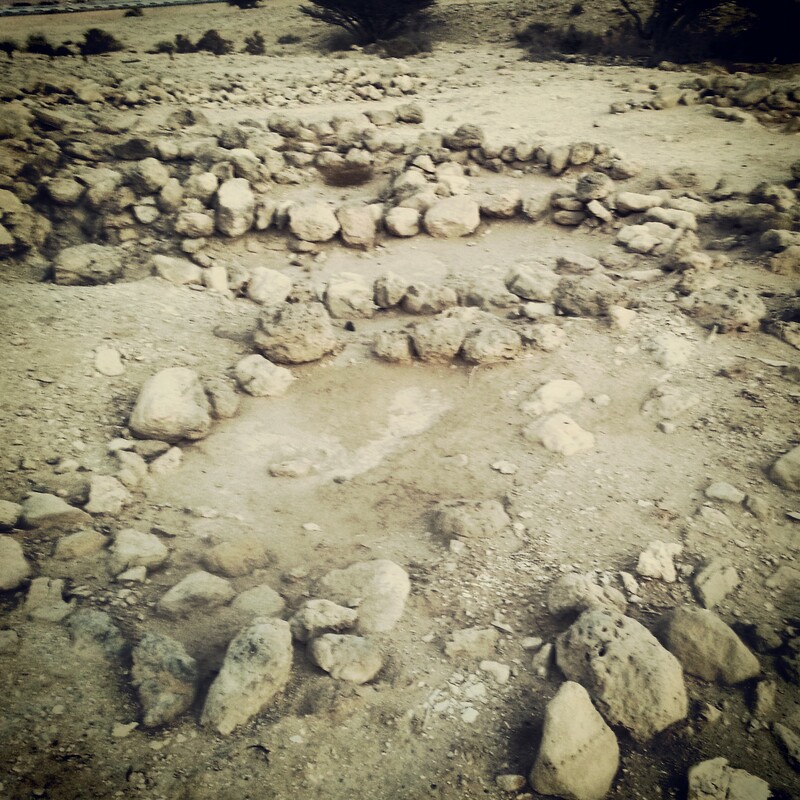 As you can imagine, Israel is full of areas of archaeological interest. In addition, as a country with a rapidly expanding population and developing economy, there is a great deal of construction and development. 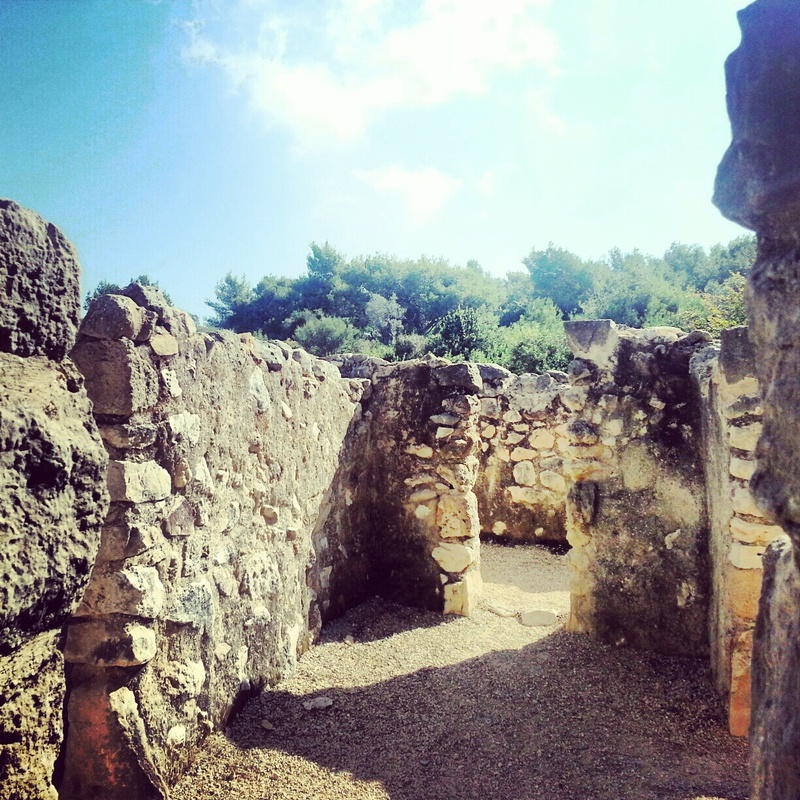 We learned about the Law of Antiquities which means that any construction project that discovers archaeological remains needs to pause their work for the experts to move in and excavate; the construction company even has to fund the excavations. However, once the digs are over and the archaeologists have removed whatever artefacts can be salvaged and photographed where relevant, the remains are built over, never to be seen again. This is where the late Dr Reuben Hecht comes into the picture. He set up the Hecht Foundation, part of whose remit is to salvage these sites and painstakingly extract them from their location in full, moving them to a new site, Derech HaDorot, so we can enjoy them for posterity. Without meaning to sound crass, it’s a sort of Disneyland for archaeologists who can peruse numerous structures from different parts of the country and different time periods in a relatively small space. I found it remarkable and think it’s a great project; the best thing is that it will only get better with time as more excavations occur. Within walking distance was another viewpoint, known as Mitzpe HaMifratz, where we enjoyed the view over the Valley of Akko. Here we heard the story of the 200 Days of Terror in 1942 when it was feared the Nazi forces were about to reach the British Mandate of Palestine. The Jews made plans to make a last stand on the Carmel; fortunately these plans were never needed. We continued on foot down a hiking trail to the Grove of the Forty (Churshat HaArbaim), a site that is holy for the Druze people (more on them later) and contains trees that are around 400 years old. The site was peaceful and beautiful, I could understand why it would be considered holy. We received a short preamble about the Druze religion and the trees in the area. 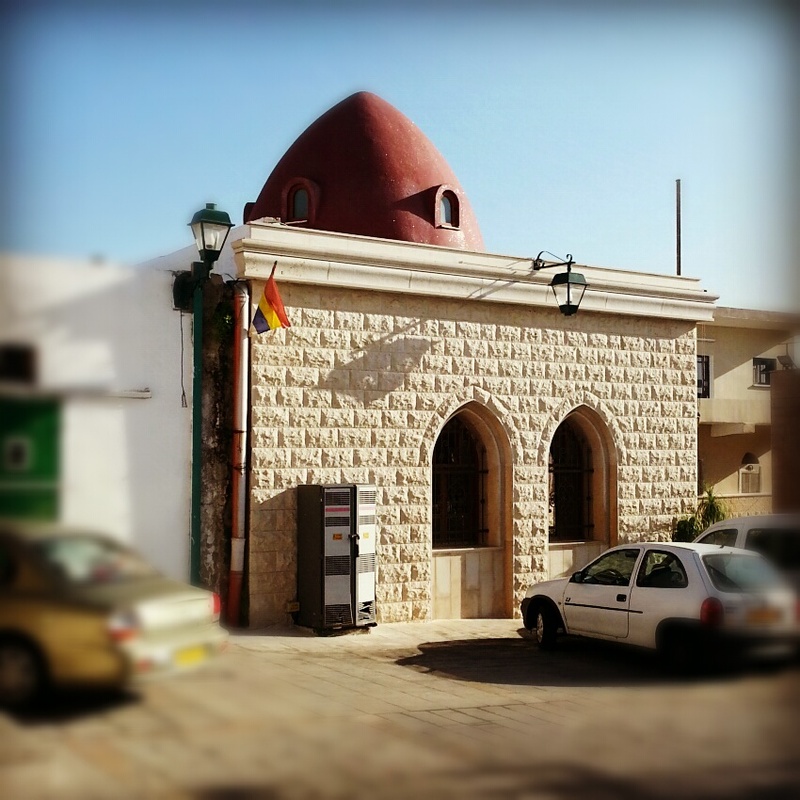 Much more on the Druze was to come in their biggest city in Israel: Daliyat-al-Carmel. We walked into the old town, ending at the relatively new memorial to the Druze who have sadly fallen in Israel’s wars. The Druze are a small people (around 1 million globally) who are mostly based in Israel, Lebanon and Syria. The religion dates back 1000 years and began in Egypt before persecution forced them to flee to the areas where they are based today. Probably because of this persecution, the religion is a closely guarded secret; they also have a principal of fierce loyalty to the government of whichever country is their base. This is why many Druze sided with the Israelis in the War of Independence; since the 60s they also have mandatory conscription to the Israeli army (unlike the Bedouin or other Israeli Arabs) and are much more assimilated into Israeli society. On the way out of the old town we passed the shrine to Abu Ibrahim, one of the first preachers of the Druze faith. 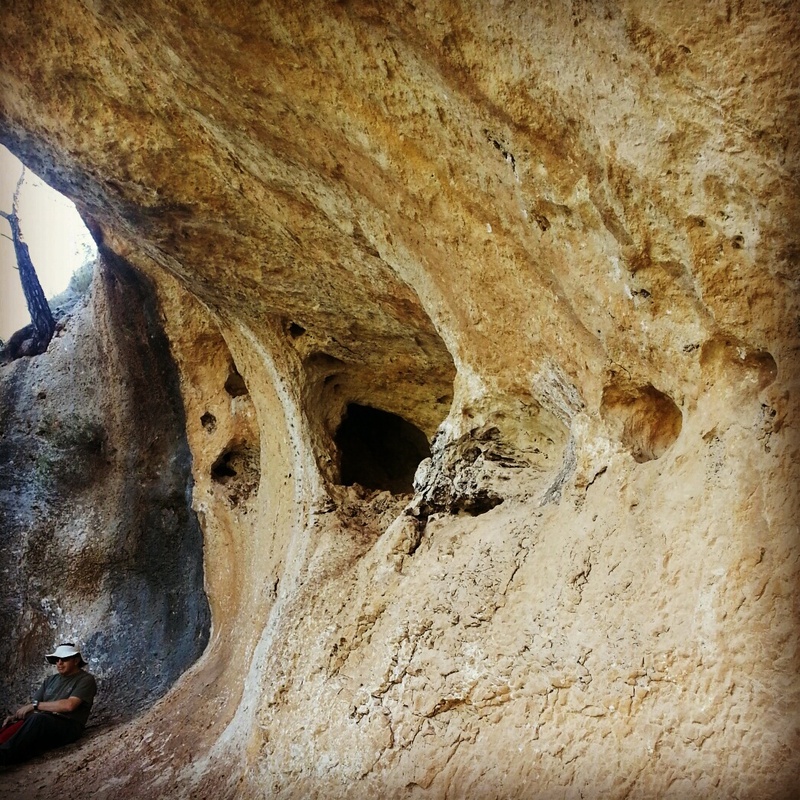 It is said that he hid in a cave here while escaping persecution (sadly a regular theme for the Druze). It is a pretty building and worth a visit if passing through Daliyat-al-Carmel for its popular market. Speaking of which, we gladly received fifteen minutes of free time to peruse said market. I put this time to good use by heading straight for a sweet shop. Delicious! 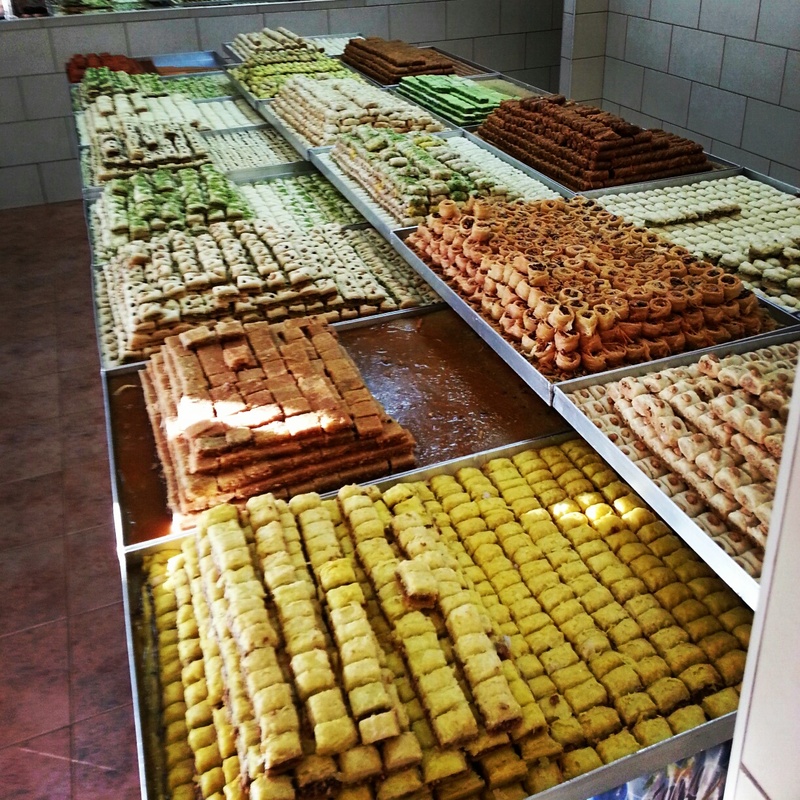 Traditional sweets in Daliyat-al-Carmel. Yum! Our final stop of the day was at the Muchraka, a Carmelite Monastery said to be at the site where the prophet Elijah challenged the prophets of the Canaanite god Baal to a showdown in order to prove God’s might. The story (related in 1 Kings 18) is great; a good mix of danger, drama, suspense and a cheeky bit of humour. All topped off with a divine miracle, not something to be sniffed at. As our guide related the story, I tried to picture the scene; the prophets of Baal struggling to save face; the multitude of the people watching in awe. Elijah certainly had a flair for the theatrical. We finished off with a brief visit to the chapel and we concluded the final hours of daylight with the magnificent panorama from the balcony on the monastery roof (my picture sadly did not come out well, so thanks to Wikipedia for the above). And with that, it was time to head home. Until next week!